We are proud plumbing technicians who will handle all of your plumbing needs from repairing leaky pipes to new construction piping. 24 / 7 plumbing emergency service is our specialty! We are professional, experienced and qualified to take care of all your HVAC needs! Furnace, boiler, thermostat, and A/C repair are just a few of our many skills. We will remodel any room in your house. We can handle both interior and exterior work, from roofing to kitchens, bathrooms, new construction, siding, windows and more. 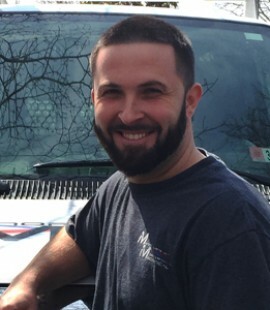 I am certified in Plumbing and HVAC, and also a Lead Certified Supervisor for Remodeling. 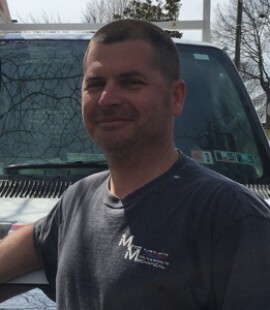 I have had the privilege to be involved in all areas of the Plumbing and HVAC trades (service, installation, remodel & new construction) for over 20 years. Hello Allen & Joe, Just wanted to say thank you for the great workmanship on the installation of the new kitchen sink faucet and food waste disposer. Joe & Allen Thanks very much for my plumbing repair! You are the "Dynamic Duo" Nice work guys! We highly recommend Manor Mechanical for all of your plumbing and heating needs, we had a clogged drain in our laundry room and had various plumbers out to work on it with no result. A friend had recommended us to call Manor Mechanical, we gave them a call and they were out the same day and had the clog cleared in no time. We have not had a problem since, we found them to be courteous, efficient and very clean for a messy job. Thanks again! !